Located just across the old bridge Ponte Azzone Visconti Lecco, under the train overpass, you’ll find Herba Monstrum. 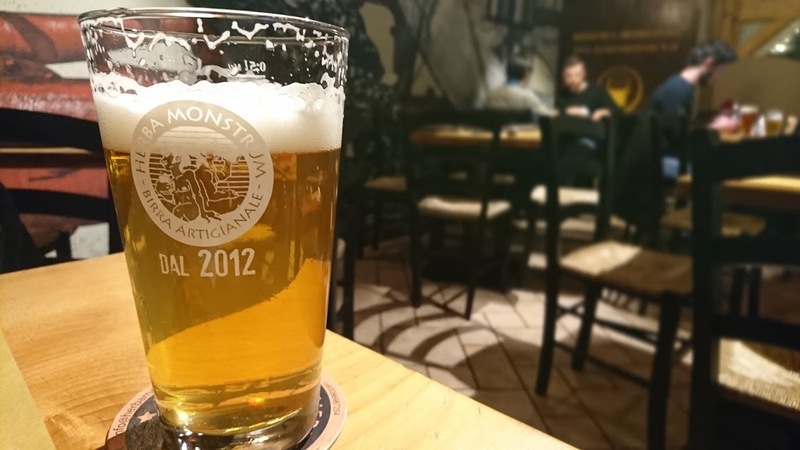 Herba Monstrum has been producing artisan beers made for beer lovers using traditional homemade recipes and home brewing techniques since 2012. In 2014, they opened the pub with a ZERO KILOMETER philosophy. Everything from the food to the bread to the art on the wall are made by local producers. Burger meats, cheeses, and cold cuts are are local as well as of course the six kinds of beer they produce themselves. The menu is simple yet satisfying for both meat eaters and vegetarians. Meat burgers, fish burgers, veggie burgers or a platter of cold cuts or grilled vegetables. Salad, french fries or onion rings on the side. Desserts are made fresh every day- we tried the Biramisù which was amazing! (A tiramisù made with beer). Draught beer served cold directly from the keg. Everything from the food to the bread to the art on the wall are made by local producers. Desserts are made fresh every day- we tried the Biramisù which was amazing!